Whether you are having trouble with your showers and tubs in Los Gatos or you are putting in new ones because you are remodeling or upgrading your home, your plumber in Los Gatos is happy to help you out. We can help you remove your old tub and shower, choose a new one, then install it when it comes in. We can also help you repair your old tub or shower so you can continue using it for years to come. When it comes to showers and tubs in Los Gatos, we’ve seen everything. 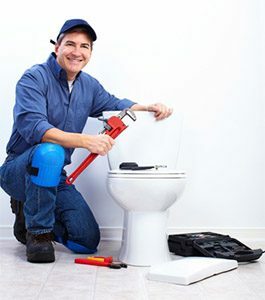 No matter what has gone wrong with yours, our plumbers will know how to solve your problem, most likely because they have solved that same problem before. We’ll help you with your leaky pipes, mold and mildew issues, cracks in your shower and tub, and more. There’s no shower or tub problem that’s too big or too small for us to fix. We can also help you choose the very best in new shower and tub materials. Whether you want custom tile, vinyl interiors, or something completely different, we’ll help you choose the showers and tubs in Los Gatos that will work best for you. We’ll look at how much you want to spend, how much space you have, and what look and feel you want to achieve. Then we’ll recommend showers and tubs for you based on all of those needs. We love to work on showers and tubs and we love Los Gatos! Call us the next time you need help with your bathroom in that town, and we’ll show you why so many of your friends and neighbors always call Rosenthal. If you’re ever unsatisfied after an interaction with us, just let us now and we’ll figure out how to make it right.